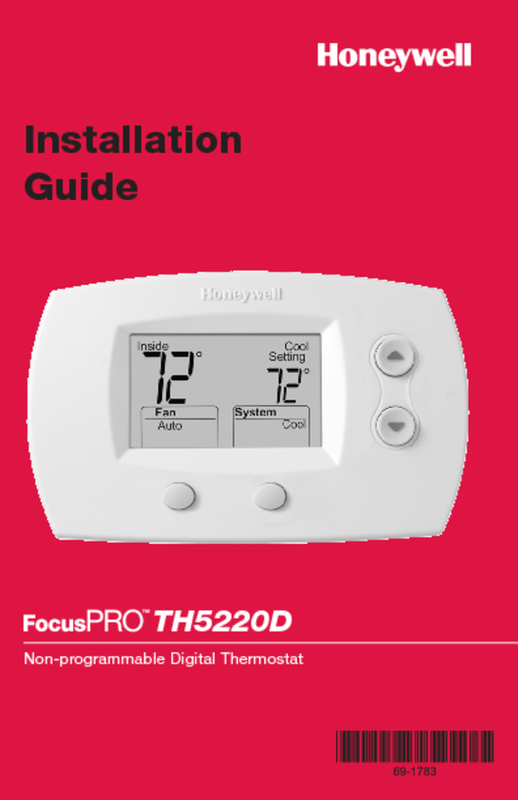 Honeywell Focuspro Th5220d Operating Manual - Page 1: Operating Manual. 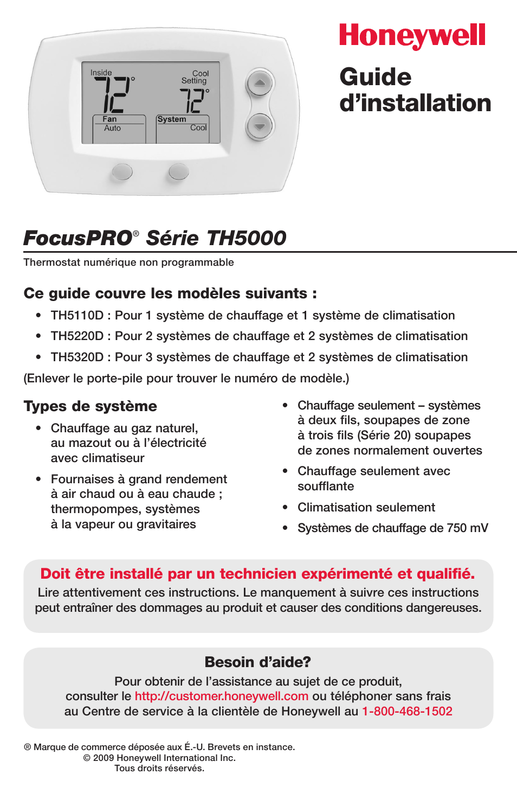 FocusPRO TH5000 Series ® Non-Programmable Digital Thermostat Operating Manual 69-1923EFS-01 Page 2. 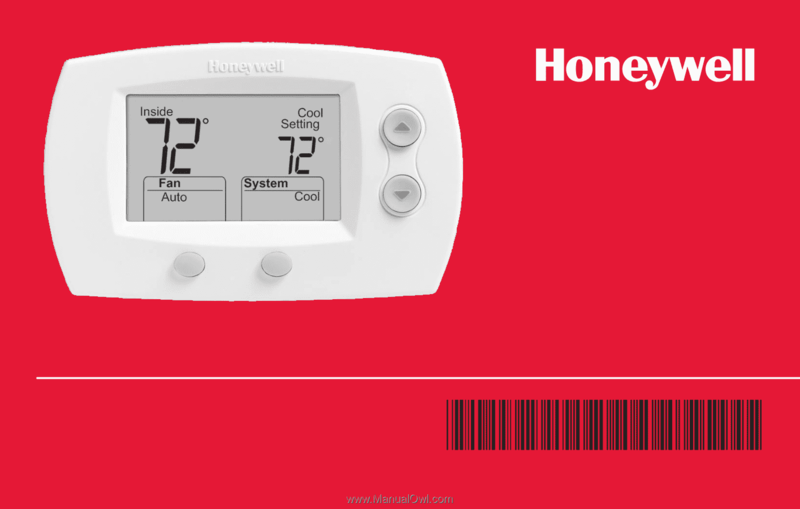 For assistance with this product please visit or call Honeywell Customer Care toll-free at Read and save these instructions.. 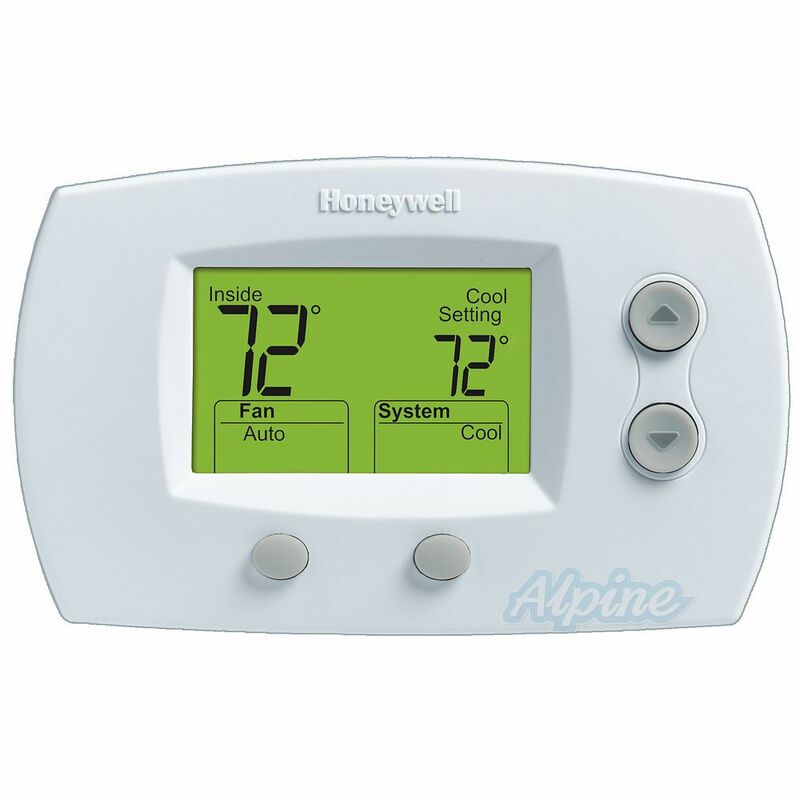 Page 1: Operating Manual. 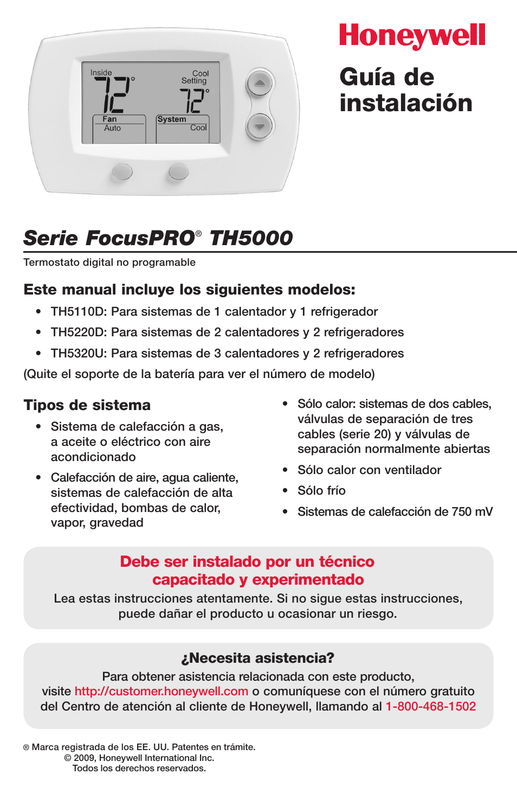 Operating Manual FocusPRO ® TH5320R Wireless Thermostat Termóstato inalámbrico Thermostat Sans Fil Page 2: Battery Holder.